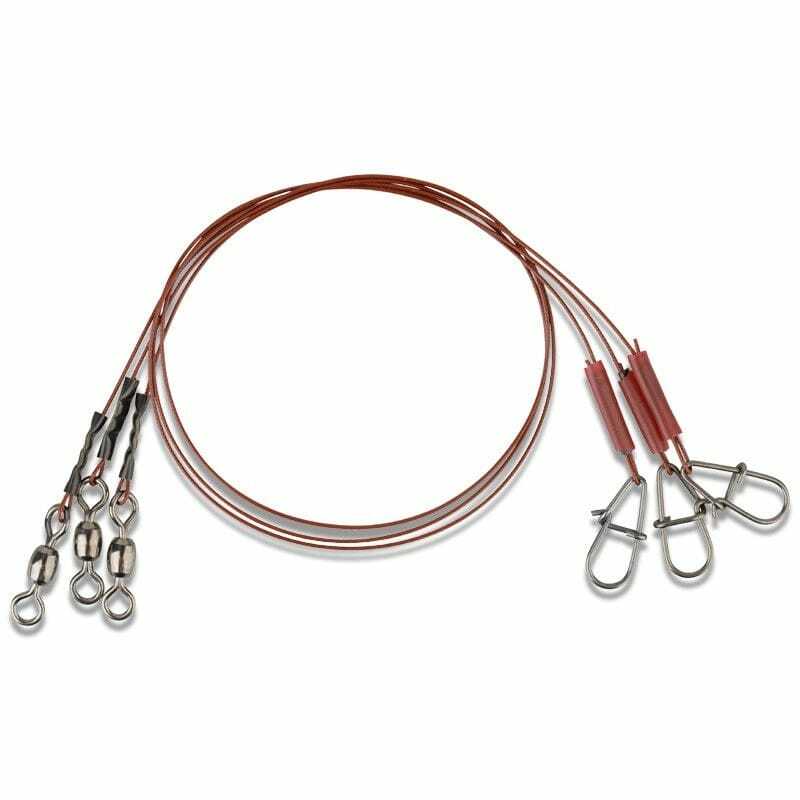 Ultra strong, soft and flexible 49 strand stainless steel wire, coated with a strong carbon copolymer in a blood red color, for superb abrasion resistance! Perfect sized swivel and blood red spring steel needle snap, for hard or softlures! The perfect pike trace in a strike triggering blood red color!